In Stalking the flats – Part 2, I discussed what to look for when walking across the flats. I mentioned that “I am always on the look-out for freshly dug depressions in the sand and shell, roughly 0.5 – 1 metre in diameter. These depressions are often easy to spot as entire areas will be pockmarked with them and they are surrounded by piles of shells and other detritus. They are almost certainly dug by snapper as they fossick for crabs and shellfish”. See photograph below. Generally these holes are a summer and autumn phenomenon and are hardly seen over winter. Next I went on to state that “for some reason snapper do not tend to stray too far away from where they have been digging holes as they are forced off the flats by the receding tide. The nearest hole in the channel close to the feeding ground will likely hold fish. Try fishing in the channel directly out from the snapper holes and prospect around until you find where they are holding”. Most people would not have thought twice about these holes or what they meant. I have been intrigued for some time by this phenomenon and decided to see if there was a scientific explanation. As luck would have it, snapper are one of the most well researched NZ fish species and it did not take long to find a technical paper entitled “Diurnal and tidal movements of snapper in an estuarine environment” which provided some very interesting insights. This paper appeared in the publication Marine and Freshwater Research, 2003, 54, 931 – 940 and was written by B.W. Hartill, M.A. Morrison et al. (As an aside, I’ve corresponded a few times to Mark Morrison and he is a very helpful and passionate scientist). Without getting into too much of the technical detail the researchers fixed receivers at various points in the Mahurangi estuary between November – January. They then fitted acoustic transponders to 28 snapper, sized between 17 – 37.8 cm, and followed their movements in relation to the receivers for a month or so in most cases. • For 75% of the fish assessed, over 50% of the detections came from one buoy, with almost all other data being recorded from nearby receivers. This shows that short term snapper movements in the estuary were of the order of hundreds or metres or less. These movements were probably to and from a feeding area (my interpretation). • The movement of 70% of the fish resident in the study area during the day followed tidal rhythms and there was little movement at night. Even though the tides were strong at times the snapper did not move far. • Reduced detection of snapper resting during the night could have been due to the fact that the snapper were resting in amongst horse mussels. • The remaining 25% of the snapper (which were mostly the larger sexually mature fish) assessed moved much greater distances, often into and out of the harbour during the day. This is a fascinating study as it scientifically proves what I had hypothesized namely that snapper fed in certain areas and did not move far from the feeding area while in the estuary. 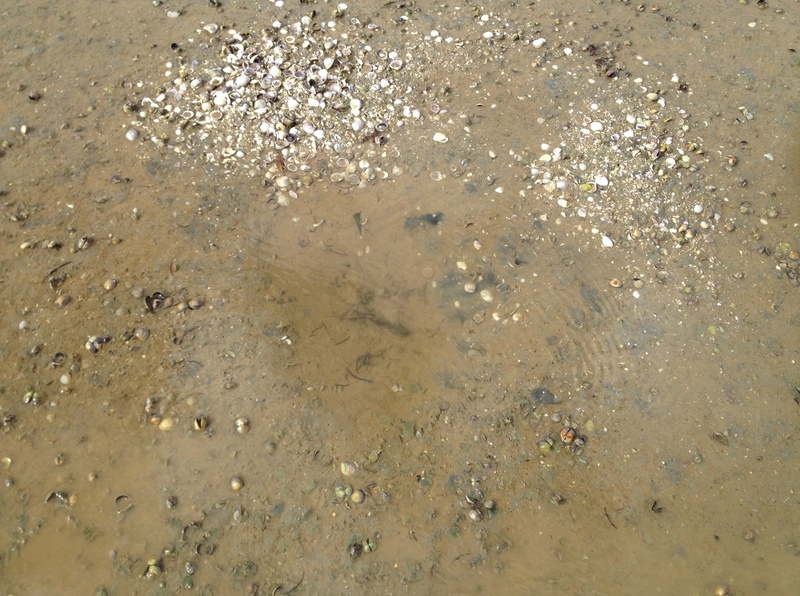 It also confirms that horse mussel beds have a key role to play in snapper behaviour. If anglers are to improve their success rates then they need to gain a thorough understanding of the life cycles and behaviour of the fish they target. Fisheries research is critical to gaining this understanding. It is also important for anglers to keep their eyes open and record and question what they see. If I had not noticed the depressions and made the connection with snapper then I would have missed an amazing angling opportunity. Once you have discovered something interesting then try and find out if there is a scientific reason for what you have found. If there is then you have unlocked another piece of the jigsaw and will be a better angler for it. In conclusion, NIWA staff should be congratulated for the high quality fisheries research that they undertake on our behalf. It is an absolute travesty that NZ fisheries research is so poorly funded and that so little is known about so many of the fish that we catch. Without this knowledge decisions made in relation to fisheries management are too ad-hoc and reactive.